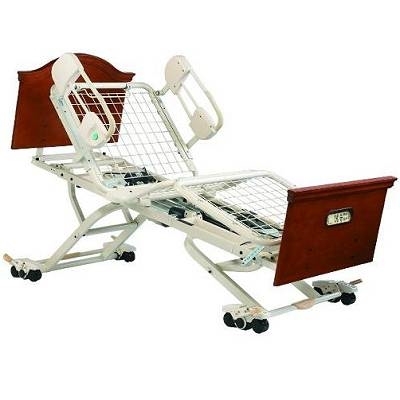 UltraCare XT model UCXTBED is a Full Electric Hi-Low Home Care Adjustable Bed. 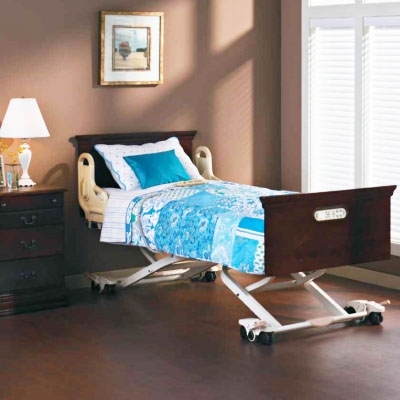 The Joerns UltraCare XT bed is a fully electric deluxe long term care bed. With options like Trendelenburg Positioning, embedded staff control, and choice of bed rails, the UltraCare XT is a top of the line Home Care Bed. Four actuator motors do all the positioning at the touch of a button. 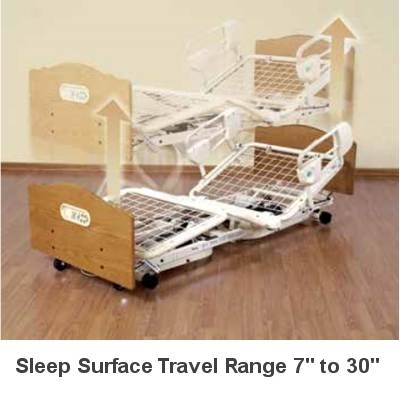 The UltraCare XT’s multi-faceted features enable you to use this bed across a broad array of service options. From standard to deluxe resident rooms, or short stay and bariatric applications, the UltraCare XT delivers flexible care solutions. The UltraCare XT has been created to look as great as it functions. The included Head & Foot Boards are done in a rich finish. The UltraCare XT is mobile at any height. With the UltraRoll feature, this bed offers enhanced mobility and swivel caster functionality at both ends of the bed to easily maneuver within tight spaces. The controls include features such as an intuitive pendant that is ergonomically functional with lighted buttons that enhance usability day or night. AdvanceCare positioning is included as a standard feature with integrated pendant connections on both sides of mattress support platform. AdvanceCare provides both gravity-assist repositioning and comfort chair positioning with more therapeutic options for patients who need special care or who want more comfort. AdvanceCare provides flexible care solutions while making repositioning safer and more comfortable for patients and caregivers. AdvanceCare Positioning allows you to move into virtually limitless number of positions, including reclining chair positioning to maximize comfort and clinical applications. The UltraCare XT includes Traditional style head and foot boards with a Cordovan finish. The Traditional head and footboard sets are functional, smart-looking and a great value. The boards are made of wood laminate and look great. This is an option on the UltraCare XT. The Trendelenburg option also includes embedded staff control on foot board. Caregivers can easily change patient positioning. Tubular steel frame design for greater strength and durability. UltraCare XT has a full 500 lbs. weight capacity. UltraCare XT is better looking, better performing and more versatile, it is the only bed you'll ever need.